The children have taken a great interest in transport and have adored singing transport songs in both English and Spanish. We sang songs such as ‘Row Your Boat’, ‘Wheels on the Bus’, ‘La Foca Marisol’ and ‘El choche de papa’. It’s worth searching for these songs online as the children seem to enjoy joining in with the words and actions. We used some tools including hammers and potato peelers. The children like to find their own sticks and peel off the top layer. We got to feel the different textures of the stick after some of the top layer had been peeled off. The smooth sticks are now the children’s ‘Magic Wands’. We set up an obstacle course in the forest. 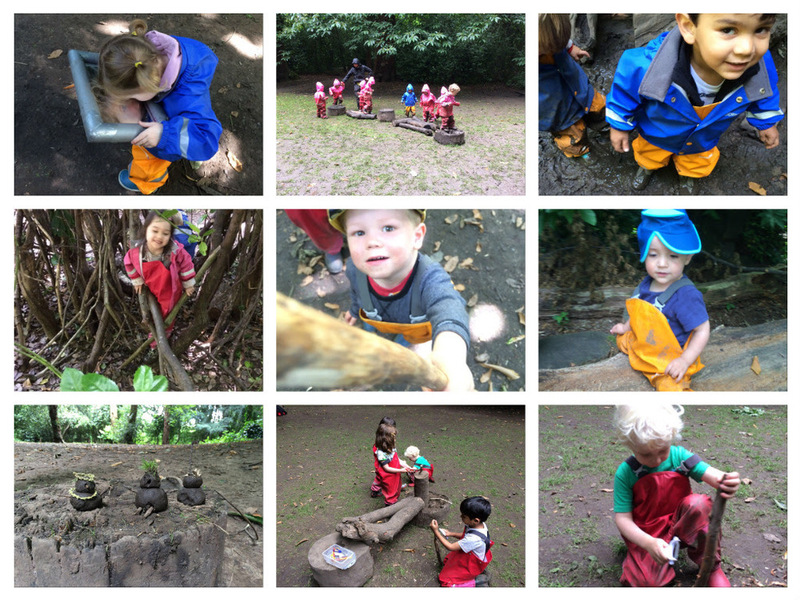 This encouraged children to climb and balance on uneven surfaces promoting their physical development. Using an obstacle course can support many areas of development. The children waited for their turns when using the obstacle course, demonstrating great turn taking and enhancing social skills with a positive experience. The children chose to role-play the story ‘The Three Little Pigs’ in the dens. This encourages the children to copy and practice words they have heard before, ultimately expanding their vocabulary. Not by the hairs on my chinny chin chin. The children involved in the game listened and responded to one another, engaging in an artful conversation. Next week we will be focusing on People Who Help Us. We will be looking at different professions and helpers in our community. You may have received an email regarding the circus show on Monday 18th June at 1pm. Please get in touch for more details if you child is enrolled at Chiswick. We have really enjoyed looking at pictures of activities the children have done on the weekend. Thank you for uploading these.